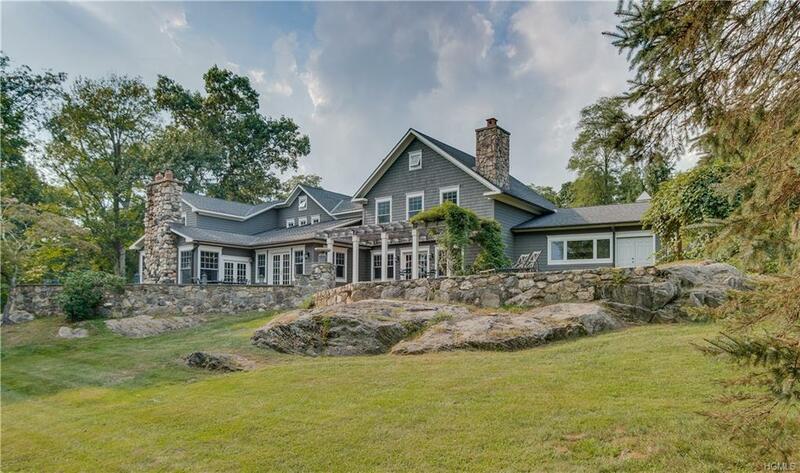 RARE VIEWS & EXCEPTIONAL PRIVACY AT THIS STUNNING MT HOLLY HILLTOP COMPOUND on a quiet country road in the heart of Katonah's finest estate area. 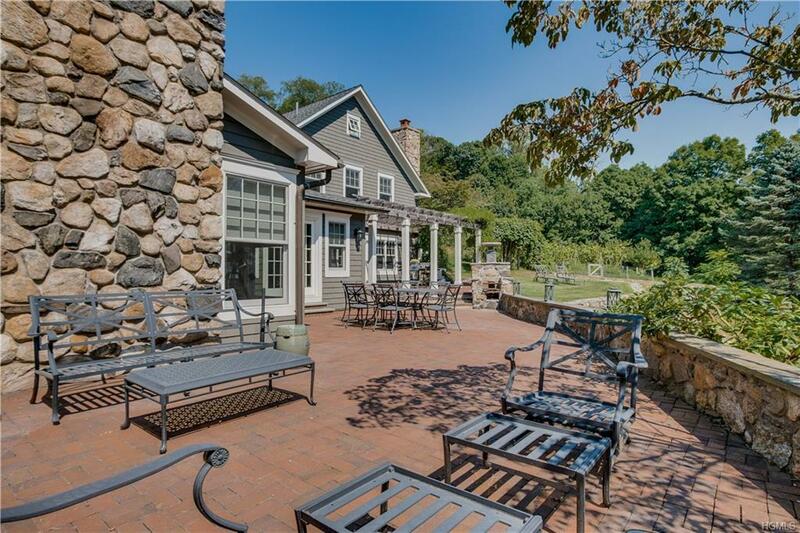 Surrounded by woods, meadows & Conservancy land, unique ammenities include main house in as-new condition, 2 story/2BR cottage w fplc, garage, deck & views, fabulous Post & Beam car/horse/art barn w loft, garage parking for 8, classic motor court & MINUTES-TO-VILLAGE location. 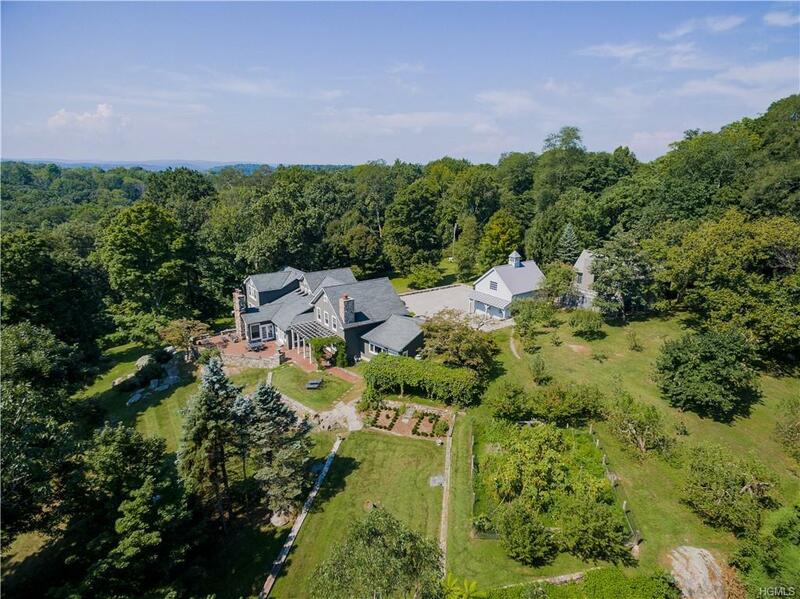 Serene landscape incl brook/waterfall, organic garden, orchard, grape arbor & hidden deer fence. The pristine main house features a sun-filled, open floorplan w bright, well proportioned, spaces throughout & mountain views from almost every room. Wide board reclaimed wood floors, vaulted & tray ceilings & massive stone fireplace compliment the country ambiance. Outdoor living is provided through sets of double French doors onto the mutli-section patio overlooking the grounds & views. Pool site. Tons of storage. Generator. Sqft listed is all living space, inc cottage. Listing courtesy of Eric Rosenfeld of William Raveis-New York Llc.